Westkill to Delaware River and south to Susquehanna River and west. 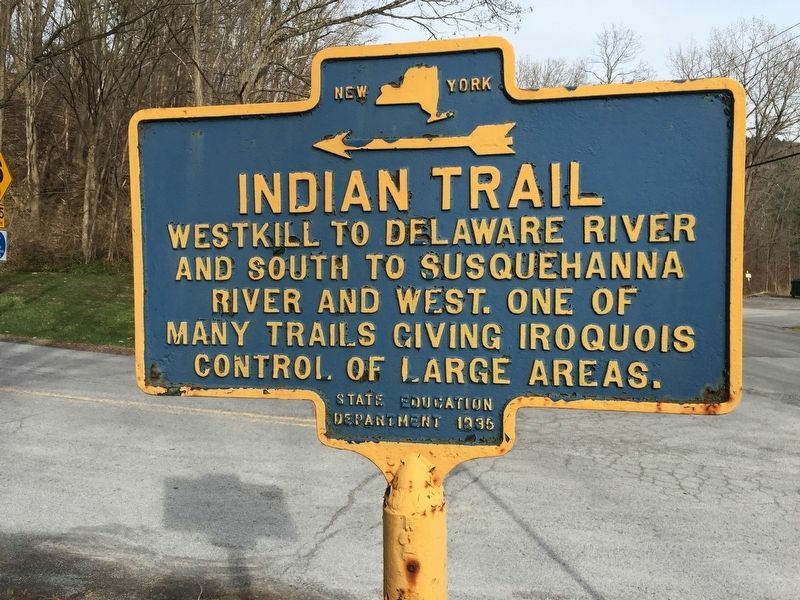 One of many trails giving Iroquois control of large areas. Erected 1935 by State Education Department. Location. 42° 28.138′ N, 74° 27.324′ W. Marker is near North Blenheim, New York, in Schoharie County. Marker is at the intersection of West Kill Road (Route 30) and West Kill Road, on the left when traveling north on West Kill Road. Touch for map. 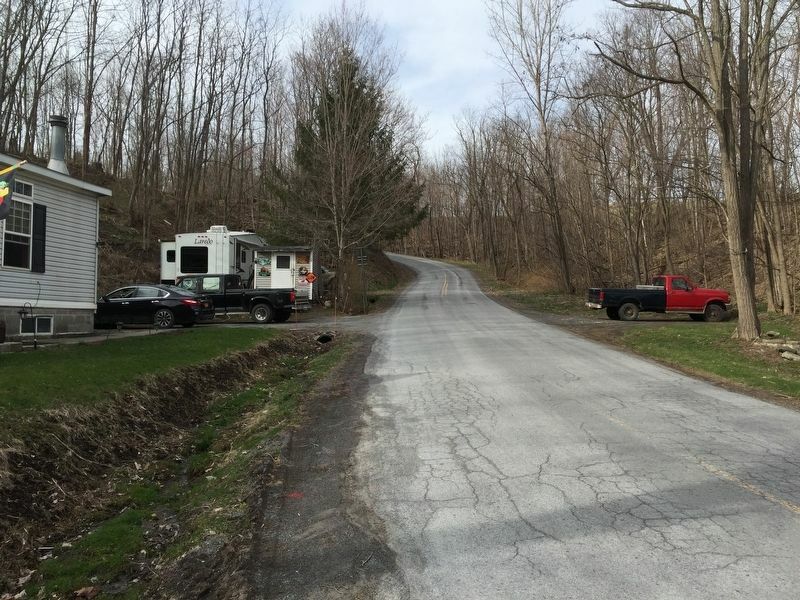 Marker is in this post office area: North Blenheim NY 12131, United States of America. Touch for directions. Other nearby markers. At least 8 other markers are within 6 miles of this marker, measured as the crow flies. Gen. Freegift Patchin (approx. 0.4 miles away); Old Blenheim Bridge (approx. 0.8 miles away); Blenheim Bridge (approx. 0.8 miles away); Manor House (approx. 1½ miles away); Captain Jacob Hager (approx. 2.1 miles away); a different marker also named Indian Trail (approx. 4.4 miles away); Gilboa Settlement (approx. 5.3 miles away); a different marker also named Indian Trail (approx. 5.6 miles away). Touch for a list and map of all markers in North Blenheim. More. Search the internet for Indian Trail.